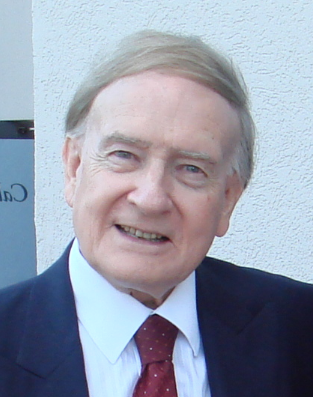 Richard Bewes: Accept Heaven’s Re-commissioning! Jesus Christ’s apostle John, who had first been called into his Master’s service by the Sea of Galilee ((Mark 1: 19,20) was, in later life, exiled for his beliefs by the Roman empire on the remote island of Patmos. There he received the vision of Christ’s glowing revelation of all that would await the Christian Church across the ages; its witness and amazing growth, ending in overwhelming victory at the Return of Jesus - despite the savage persecutions that it would suffer until the end. The book of Revelation is full of comfort for us! Here in chapter 10 John receives a fresh encouragement and ‘re-commissioning.’ In his vision he is commanded by a mighty angel to devour a scroll that has been handed to him. His words to others were never to be his own - they were to be put into his mouth from above. An earlier prophet had received a similar commission (Ezekiel 3:1-3). As you read Revelation 10, accept the message, believer, as your ‘re-commissioning’ this very day – in the service of Jesus Christ! 1. Can there be anything sweeter? Think of it – ministering for Jesus! 2. Can there be anything harder? 3. Can there be anything wider? In the original Greek script here, the King James Version is preferable - that John’s message was to go out 'BEFORE many peoples, nations, languages and kings.' Here was a commissioning that was to embrace the whole world. But now, in exile, Rome had surely silenced John for ever! Not so. Even in prison, his writings were to travel to every continent. Wherever YOU are – Christian - the whole world is your target! What Women These Christians Have!